How is this different from Games and Interactions found in your eLearning Template Library? Some of the games and interactions available in the Interaction Builder are also available as flash/HTML 5 templates in the eLearning Template Library. Files in the Library come with the source code. The Interaction Builder is for users that don’t have the Flash/HTML 5 editing software and want to build simple games and interactions. If you want to have the source files (.fla) and be able to customize and change everything, then you should look at our eLearning Template Library. Do I need to subscribe to both the Interaction Builder and the Template Library? No, they are 2 different tools/products. The Interaction Builder provides an easy way to build games and interactions online with a simple editor. You then download the final packaged files. Is there a download limit each month? No. Create and download as many interactions as you’d like to. Is there any special programming that I need to know? No. Just build your interaction on the website. Once I create and download an interaction is it still “connected” to your tool? No. Once you download an interaction it is a separate .swf Flash file (or HTML 5 zip file). You can put it anywhere. It is completely independent of our tool. Do I have to pay more to get new interactions? No. Any new interactions that we add are available to every user. Can I use these interactions in courses that I sell? Is there a trial version that I can use? Yes. You can use the entire tool without ever paying a dime. You can even download the interaction that you build. However, if you don’t sign-in the downloaded interaction will have our logo watermark. Go ahead and try out everything and download the interaction to test in your eLearning course. Then when you’re happy, come sign-up. Do I need to own Flash to use your interactions? No. Just input your information into the website editor. When done just click the download button and your interaction will be a single Flash (.swf) file that you can use in any eLearning software. Can I get the Flash source file for my interaction? Sorry this site is not built with that functionality. 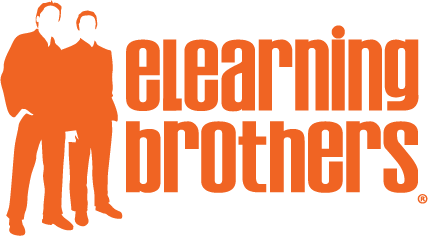 If you are interested in purchasing eLearning Flash templates with the source file check out our eLearning Template Library. What are the support options that you offer? You can email us anytime for assistance or check out our tutorial videos. Can I save my interactions and edit them later? Yes. Once you log-in you’ll save a “My Saved Files” tab and then will allow you to edit, copy, and download previously created interactions.